Yourtown (formerly BoysTown) has been helping disadvantaged young Australians find their way in life through training, counselling and other support services for over 50 years now, yet Boystown is still a not-for-profit organisation and so your assistance is needed to help raise vital funds for this very worthy cause. Yourtown Lotteries operate 16 Art Unions each year including six Luxury Car Draws and ten Prize Home Draws. Their lotteries create ten new millionaires every year around the country, however its only with your help that they can continue to help many thousands of people in need. You can even Buy tickets online right here in the next draw. Platinum Class Lottery is operated by Act for Kids, an Aussie charity working tirelessly to prevent and treat both child abuse and neglect. Lottery ticket sales are vital in providing the necessary funds for extensive treatment to help our children in need. Platinum Class Lotteries run every two months or 6 times a year with Prizes including a Mercedes Benz Motor Car, Resort Holidays and Platinum Bullion. With such fantastic prizes on offer, don't miss your chance to be in the next Lottery draw, purchase your tickets below. The Cars for Cancer lotteries provide all ticket buyers with a great opportunity to support cancer research through Mater. The Lottery is operated by the Mater Foundation and was originally launched in 2004 to raise vital funds for cancer tests and treatment. First prize is usually either a special vehicle or your choice of two, both of which are valued at up to $90,000 each. Only 15,000 tickets are sold in each of the lotteries, so your odds of winning are much better than average. Purchase your tickets today. The Guide Dogs Lottery is making a major difference to the lives of adults and children living with low or no vision right across the country. 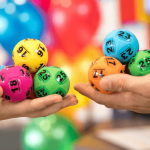 There are just over 3,000 tickets for sale in each Lottery and with 200 consolation prizes available, just one ticket provides a 1 in 16 chance of winning a prize. That's almost the best odds of any major lottery in Australia. Regular or Repeat buyers increase their chances of winning with entries going into the Repeat Buyer 2nd chance draw. Guide Dogs Qld operates Guide Dogs Lotteries for and on behalf of all Guide Dog schools across Australia. Support them today by purchasing your tickets here. Police Citizens Youth Club (PCYC) assists young people right across Australia by encouraging them to participate in sports, recreational, cultural and other programs in order to improve their own lives and also others in their local communities. When supporting the PCYC Lottery you are helping them in reducing and preventing crimes both against and by young people. All proceeds raised benefit the state in which those lottery tickets are sold, so you can be sure that your contribution benefits the PCYC in your area. The PCYC Lottery offers more than $160,000 in prizes including Cars, Cruises, Holidays, TV's and more. Buy your tickets in the next draw today! Multiple Sclerosis or the MS Lottery provides ongoing support in many ways to people with MS right across Australia. This lottery provides MS Australia with the ability to continue its vital research into the nature, cause, diagnosis, treatment and future management of the disease, and to apply its wide research into programs of prevention and cure. Prizes in the MS Lottery include an Audi Car, Holidays and Bullion. Join the MS Club today and become a VIP member where you are also eligible to win Gold Bullion & other great prizes in exclusive Club member draws. Purchase lottery tickets now. The Deaf Lottery helps provide vital support to the Deaf and hearing impaired community across Australia through its fund raising Lotteries. 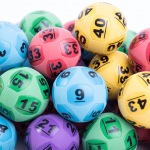 Proceeds from the sale of Lottery tickets allows buyers the chance to win Prestige Cars, New Luxury Homes, Caravans, Motorhomes, Gold Bullion, Motorcycles, Farm Machinery, Trucks and Gift Cards. 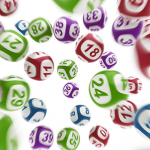 The Deaf Lottery runs 6 x lotteries annually with tickets starting from just $2.00. Buy your tickets online here. Kidney Health Australia raises vitally important funds through ticket sales in their Lottery draws every year. Lottery proceeds continue to deliver updated support and programs to the kidney community. KHA provides enormous services to affected individuals, families and carers across the country and your support provides funds for imperative research and education aimed at increasing awareness, early detection and a reduction in the incidence of kidney disease. Luxury Cars, Cash and Travel Vouchers are amongst the fantastic Lottery Prizes available, so do your part to help KHA out and buy a ticket online below.